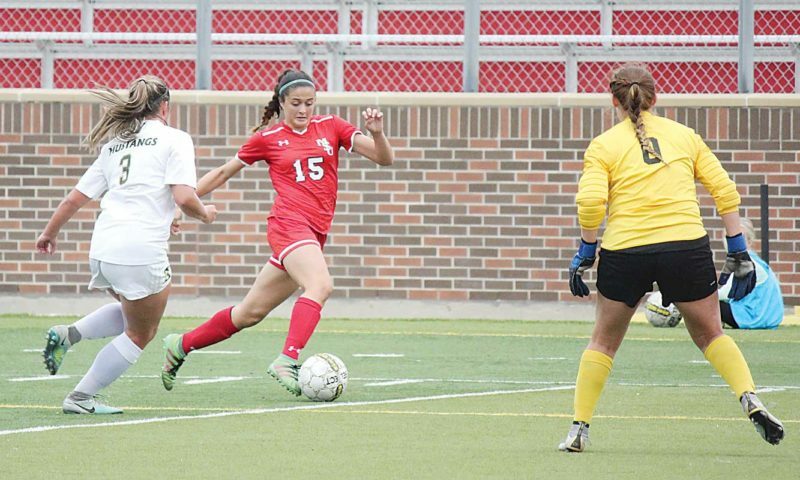 The first time I met Minot State soccer player Emilie Rebelo, I made an embarrassing mistake. Just over four months after arriving in Minot, I strolled into Planet Pizza – during the team’s preseason party last August – to meet with MSU players and coaches to gather quotes for a season preview, excited to be covering NCAA sports for the first time. Rebelo was one of the many players I interviewed, and with my knowledge of Minot State being admittedly limited at the time, I began my discussion with Emilie with questions of her role in MSU’s back line. Of course, I found out seconds later that she was listed on MSU’s roster as a central attacking midfielder, a role unburdened with an abundance of defensive responsibility. I can only imagine how red my face was at the time. But less than a month later, my initial understanding of Rebelo’s role was validated. Shortly after the untimely injury of then-redshirt freshman Kellie Creese – who figured to play an integral role at the heart of MSU’s defense before sustaining a season-ending knee injury – Rebelo was asked to assume a new position. Rebelo began playing sweeper for the Beavers, acting as the last line of defense between opposing attackers and the MSU net. She wasn’t just good in that position. She garnered All-Northern Sun Intercollegiate Conference first-team recognition with her play, along with a second-team All-Central Region selection. Now with a full offseason under her belt and a sharper understanding of her newfound position, Rebelo expects big things from herself, and from the Beavers. So do I. And so does MSU coach Jason Spain. With a year’s experience under her belt as a defender, Rebelo, who scored five free-kick goals in 2014, anchors an MSU back line that rivals the best in the nation at the Division II level. Joined in defense by senior Haley Lolmaugh and junior Bri Ramsey – both of whom could for all-region selections, according to Spain – Rebelo’s presence could lift Minot State to unprecendented heights. An outright conference title? An NCAA final four appearance? The Beavers haven’t appeared at the national tournament since bursting onto the scene in 2012. Playing in their first season as a Northern Sun competitor, MSU took fourth in the regular season standings that year en route to an unbeated run in the conference tournament. MSU surprised people that season. Rebelo thinks that can happen again this fall. That mindset is already visible with MSU’s play in practice. Spain’s is a pass-first philosophy, fueled by the desire to keep the ball at feet, and wear teams down with accurate possession and energetic runs. Practice drills are often centered around that system, so much so that sloppy, bounced passes are met with push-up demands from MSU’s coaching staff. But the results are there, and they’re visible. The Beavers seem much more composed in possession. “The work rate is a lot higher than last year,” Rebelo said. “The effort for things on the field is a lot better than last year. The competitiveness is better. It’s just better, and I think we’re going to accomplish our goals because of that. Joe Mellenbruch is the sports editor of The Minot Daily News, covering Minot State athletics and high school sports. 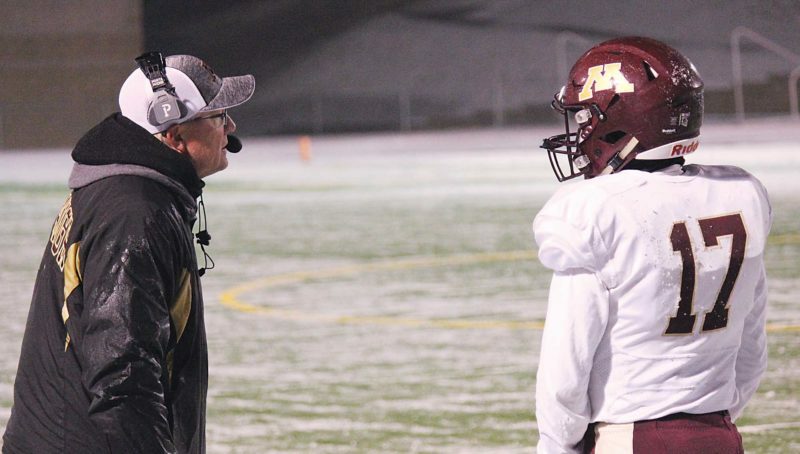 Follow him on Twitter @Mellenbruch_MDN. KOTTSICK: Minot, a golf destination?